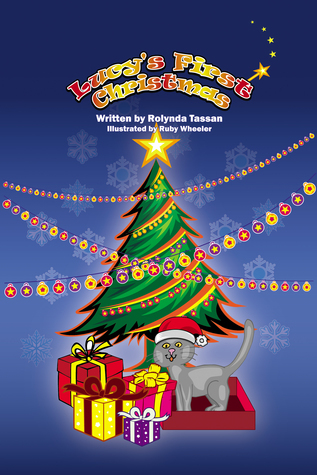 Lucy’s First Christmas, written by Rolynda Tassan and illustrated by Ruby Wheeler, is the heartwarming tale of Lucy the rescue cat’s first Christmas with her adoptive family. Like any other cat, her curiosity wins out, and she becomes entangled, literally, in the preparations for the coming holiday. From present-wrapping to light-stringing, Lucy is allowed to be a part of it all. Lucy is even afforded her first trip into the snowy outdoors and is a part of the family’s Christmas read-aloud. 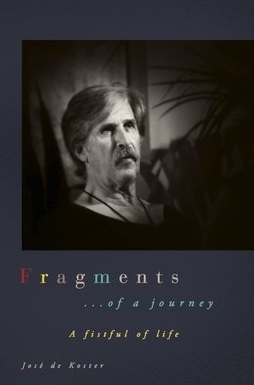 This particular book is the third in a series of stories written about Lucy and her adventures. Tassan has written a much-needed tale with Lucy’s First Christmas. As a mother, teacher, and adoptive parent of three rescue pets, I don’t see enough of these books on the shelves. There is a joy like no other in watching a shelter pet bloom in a loving home. The author captures this feeling quite well with Lucy’s Christmas experiences. She describes each family member’s patience with the curious cat and demonstrates the various ways in which the family involves the pets in their routines. The love between the family and Lucy is mutual and communicated well throughout the book. Any parent or teacher choosing this book to read with children will find it touching and true-to-life. The author has included a fair amount of “awwww” moments and lots of snuggling and loving. The pets themselves are no strangers to snuggling. This is an all-around sweet story to share with children who have pets, are wanting pets of their own, or who are in a family who has adopted a pet from a shelter. Generally a realistic fiction piece, Tassan has managed to work in a bit of fantasy with the pets talking to one another. For the most part, these sections serve to explain some of the things that drive Lucy’s curiosity and, in the conclusion, add to the dearness of the overall plot. Lucy’s First Christmas is a touching story that hits home for readers of all ages and features delicate illustrations of the pets and their family. Tassan and Wheeler’s precious Christmas story is a must-read for any family with rescue pets. Lucy’s first Christmas with her family will bring a smile to the reader’s face and touch the soul of any animal lover. Posted on December 13, 2017, in Book Reviews, Five Stars and tagged adopt, adventure, amazon, amazon books, amazon ebook, art, author, book, book review, books, cat, children, childrens book, christmas, dog, ebook, ebooks, family, fantasy, fantasy book review, fiction, goodreads, holiday, home, illustration, kids, kids book, kindle, kindle book, kindle ebook, kitten, literature, love, lucys first christmas, novel, parent, pet, picture, picture book, publishing, reading, rescue, review, reviews, rolynda tassan, ruby wheeler, shelter, short stories, stories, urban fantasy, writing, young adult. Bookmark the permalink. Leave a comment.